Wagering on the Outright Winner: Like most types of sports betting, golf fans love to bet on which player they believe will win the tournament when it’s finished. 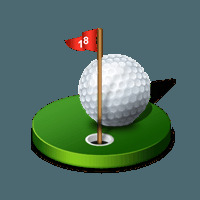 The betting lines that you see for outright winners in golf tend to be relatively generous compared to other sports because of the difficulty of predicting the winner. Even significant favourites tend to be more likely to finish out of the top spot than to win the championship, which leads to more risk, but better payouts in the end. Betting On Rounds: Consisting of four rounds, golf tournaments also give fans a chance to predict which player will have best score during each set of 18 holes. Momentum and the personal trends of golfers come heavily into play, as some start strong and tend to fade, while others tighten up their game throughout the tournament, leading to a greater chance that they will win the last couple of rounds of the competition. Over/Under Scores: Wagering on over/under outcomes is another fairly popular way of betting on golf. You can bet on whether the winner will finish below a specific score, the winning margin, or even the number of birdies and eagles a golfer earns throughout a tournament. Since its inception in 1973, the Canadian’s Women’s Open has been the national championship for women playing pro golf in the country. Similar to the RBC Open, CP Women’s Open Golf betting lines reflect the competition drawn from all around the world due to its premiere status in the Golf Canada lineup. As a result, over the years, many of the best women in the world have travelled to Canada to win this open. The convenience of wagering online has lead to a variety of sportsbooks that have developed sites which facilitate safe, enjoyable wagering on many different leagues and events. When wagering on CP Women’s Open golf betting trends, check out the following sites to discover the types of bonuses you’ll be able to earn. Every LPGA tour has its own quirks and trends, which you should be aware of before you bet on CP Women’s Open golf tournaments. The following considerations should be made before you place money on this particular event. Course Rotation: Similar to other official open championships, the course that hosts the Canadian Women’s Open changes on an annual basis. For this event, player travel to top courses all over Canada, including challenging courses on the east coast and west coast of Canada. This forces golfers to adjust their approach to this tournament on a yearly basis. Six different provinces have welcomed the best women golfers over the past decade. Winning Golfers and Low Scores: For the last ten years, the Canadian Women’s Open has features winners who are double digits below par. Half of the winners won by two strokes or less, with only one playoff occurring since the Open was replaced as a major in 2000. Lydia Ko has earned this title three times since 2012, twice as an amateur, and only three American golfers have won the Open since 2006.